Vista Total Security 2011 is a rogue antispyware program, clone of Vista Antimalware 2010. The program reports false infections, displays numerous fake security alerts and blocks legitimate Windows applications from running in order to trick you into purchasing its full version. So, do not trust anything that this malware will display you and remove Vista Total Security 2011 from your system as soon as possible. Read below what you’ll want to know though is what does this malware do and how to remove the rogue from your computer for free. Like other rogues, Vista Total Security 2011 is installed via trojans without your permission and knowledge. Immediately after launch, it will register itself in the Windows registry to run automatically every time when you start an application (files with “exe” extension). The rogue also uses this method of running to block the ability to run any programs, including legitimate antivirus and antispyware applications. Once running, Vista Total Security 2011 will perform a system scan and detect a lot of infections. Then it will ask you to pay for a full version of the program to remove these infections. Of course, all of these infections are a fake. This malware want to scare you into thinking that your computer is infected with malicious software. Thus do not trust the scan results, simply ignore them! Vista Total Security 2011 detected 35 critical system objects. As you can see, Vista Total Security 2011 is a scam which created with one purpose to scare you into thinking that your computer in danger as method to trick you into purchasing the full version of the program. If your computer is infected with this malware, then most importantly, do not purchase it! Uninstall the rogue from your PC as soon as possible. Use the removal guide below to remove Vista Total Security 2011 and any associated malware from your computer for free. Note: if Vista returns error message “Installation failed”, then you need disable UAC control. Click Start, Control Panel, User accounting, Click “Turn User Account Control on or off”. Uncheck “Use User Account Control (UAC)” and click OK. Now try install fix.inf once again. Step 2. Remove Vista Total Security 2011 associated malware. Make sure the “Perform quick scan” option is selected and then click on the Scan button to start scanning your computer for Vista Total Security 2011 associated malware. This procedure can take some time, so please be patient. Make sure all entries have a checkmark at their far left and click “Remove Selected” button to remove Vista Total Security 2011. MalwareBytes Anti-malware will now remove all of associated Vista Total Security 2011 files and registry keys and add them to the programs’ quarantine. When MalwareBytes Anti-malware has finished removing the infection, a log will open in Notepad and you may be prompted to Restart. Hi. Thank you so much for posting this up.. I was nearly conned! when I Mware couldnt delete all the selected files, it said its made a list of them in notebook though? is this normal? if so what do I do now? 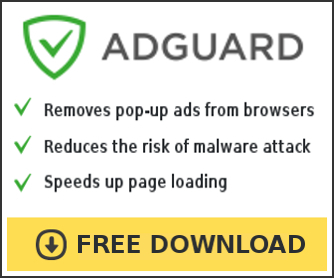 i use both methodes, and then i download MalwareBytes but after the setup, when it is installed, in the icon of MalwareBytes , in my desktop, next to the checkmark it appeard the color shield of Vista Security and when I scaned, no treats appeared. Is like if Vista Secure infected MalwareBytes and don t allow it to find it. I unistall it (MalwareBytes) and remove it, i download it again, and the same thing happens! I picked this spyware up Saturday. My current anti-virus/spyware would not recognize or remove it. I used the Recovery System of windows, and return to the last security point, and Eureka!! the problem disappeared. After that, I install the Malwarebites soft. Is correct this procedure? Luis, yes, its right direction. Thanks I pick the method 1 (the .reg) and it worked verry good !!!!!!!!!!!!!!!!!!! My computer is so hacked that I cant even type command, enter because the virus stops me. I can’t click notebook eithet because the virus stops me. What can I do to get around it?